Do you have clothes that you no longer need or wear? Are they just taking up space in your wardrobe? 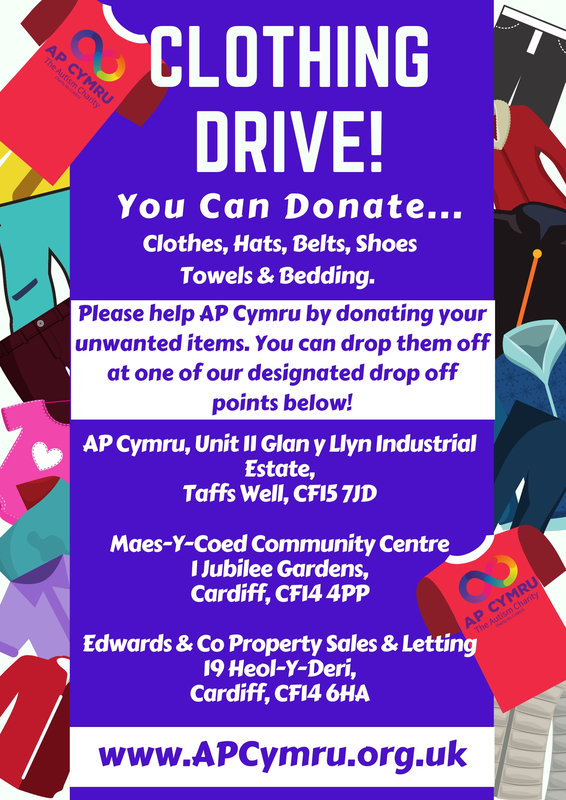 Please help AP Cymru fundraise by donating your unwanted clothing items by dropping them off at one of our designated drop off points.